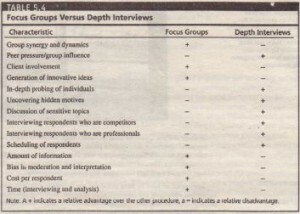 There are instances in which traditional focus groups will continue’to be preferred. For instance, you really can’t explore highly emotional issues or subject matters online. 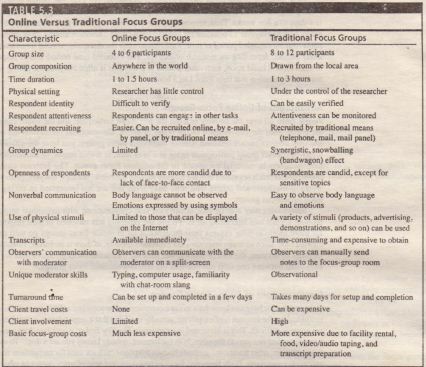 Since the reach for online focus groups is currently limited to people with Internet access, online focus groups are not appropriate for every research situation. Hewever, they are very suitable for companies that use the Internet to sell prodfx:ts or services and want to either gain market share or gather intelligence. Applications include banner ads, copy testing, concept testing, usability testing, multimedia evaluation, and comparisons of icons or graphic images. Mother potential use for online focus groups or surveys is for corporations that want to gather feedback on workplace issues like downsizing, job changes, and diversity. Employees l:an be referred to a Web site where they can participate anonymously in discussions with management. Companies such as Cyber Dialogue specialize in online focus groups, e-mail surveys, and Web surveys . One industry that has taken advantage of online focus groups is the automobile industry, specifically Nissan North America. While designing the Xterra sports utility vehicle (SUY). Nissan conducted several online focus groups to get feedback on designs. as well as find out what their target market wanted to see in an SUY. The market. consisting of young active. athletic people. was eager to participate. They wanted an SUY that could carry sporting and camping equipment inside the vehicle or on racks, but they wanted it to be offered at a reasonable price. The focus groups discussed topics such as the features they were looking for. such as racks on the top and the back of the SUY. four doors. a sporty design. trendy colors. and lots of room inside the vehicle. Nissan deliverea in all of these areas. and has been successful. The 2001 Xterra being named the top SUY for 200 I by AAA demonstrates the company’s success. t. To experience the steps involved in designing and analyzing online bulletin board research, go to select Online Research and then QualBoard, and then “Qual Boards Interactive- View the Flash Demo.” To advance this overview, use the buttons at the bottom of the screen. 2. To experience how a sponsor of an online focus group can monitor the actual focus group as if from behind the one-way mirror in the back room of the focus group facility, go to and select Products, then ActiveGroup, then “Demo.” You will have to provide an e-mail address and a one-word user name to activate the streaming Video. 3. Visit e-FocusGroups and click on online. Then click on “click here to see Respondent View” to get a view of what the respondents see in an online focus group. Click on “click here to see Client View” to view what the clients see in an online focus group. Write a brief report. psychological and emotional reasons that affect their purchasing decisions. 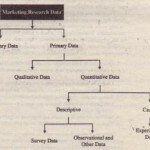 When determining why a person buys a product, researchers want to know more than simply “quality” and “low price.” Therefore, to examine the in-depth underlying motivators a laddering technique should be used. 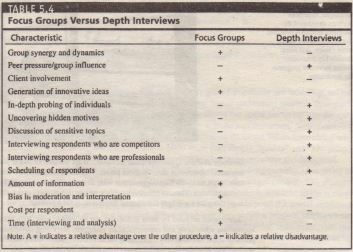 The interviewer’s role is critical to the success of the depth interview. The interviewer should (1) avoid appearing superior and put the respondent at ease; (2) be detached and objective, yet personable; (3) ask questions in an informative manner; (4) not accept brief “yes” or “no” answers; and (5) probe the respondent. 2. Discussion of confidential, sensitive, or embarrassing topics (personal finances, loose dentures) .